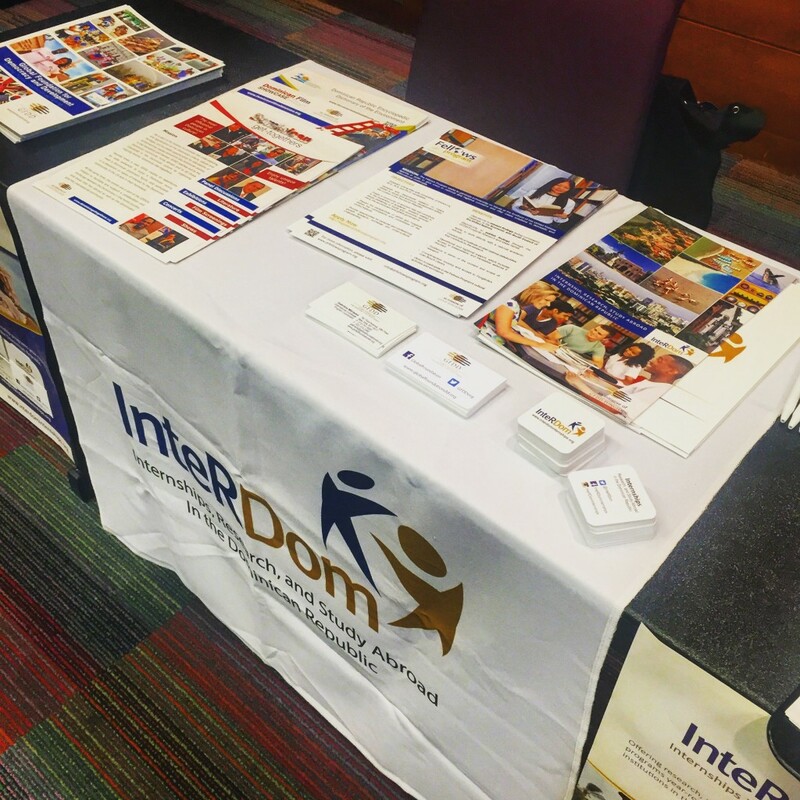 InteRDom attended the ninth annual Baruch College Work Abroad Fair on October 20th, 2016, where different institutions met with students to showcase their study, intern and volunteer abroad programs available for 2017. 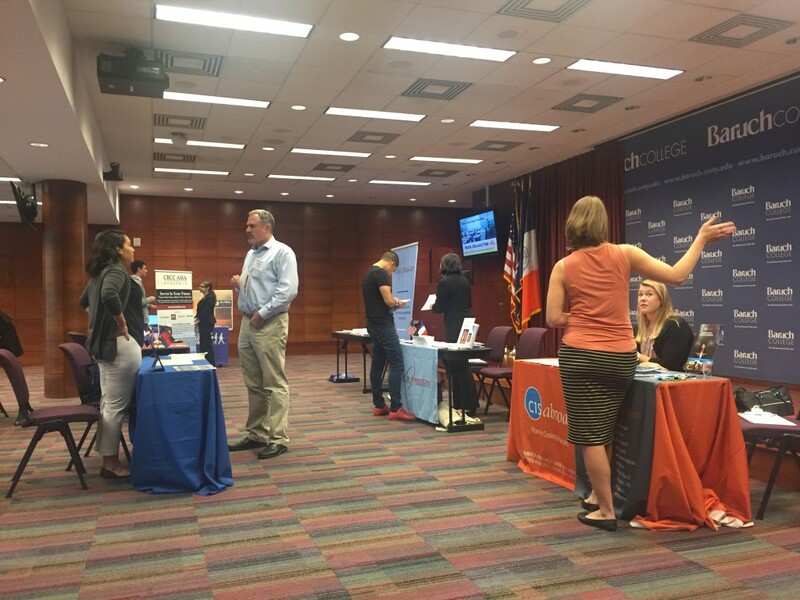 The fair was hosted by the Baruch College Weissman Center for International Business, at the Information and Technology Building in New York City. The event attracted the participation of more than 40 students mostly from the Business Academic Department of Baruch College, which included Marketing, Finance and Accounting majors. The fair is a great opportunity for students to find about opportunities in careers overseas, as well as for program representatives to recruit students to join their programs abroad. 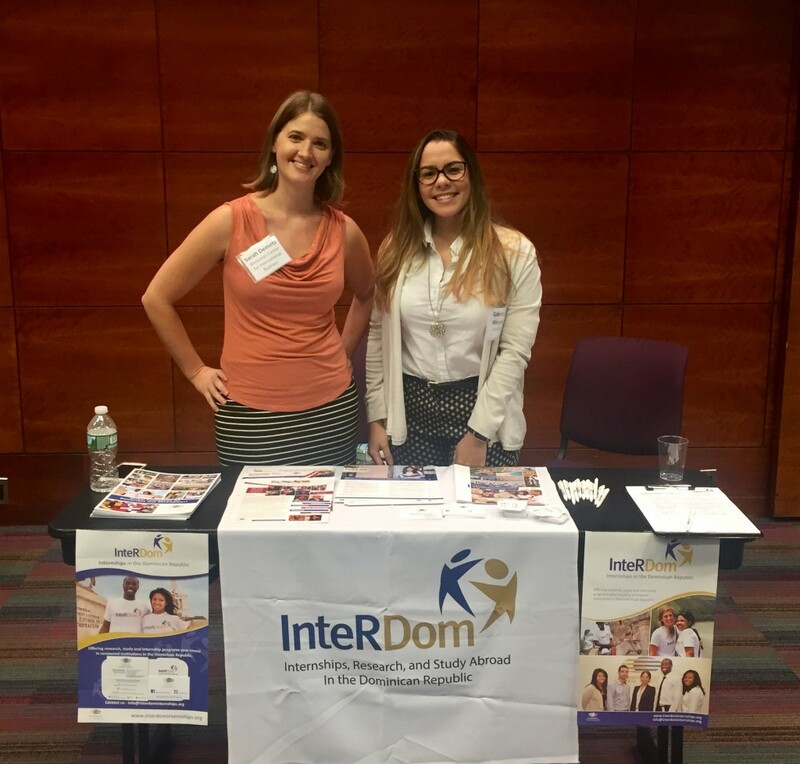 The InteRDom program has a long-standing and strong relationship with Baruch College, by way of participating in the Work Abroad Fair every year since 2011, in hosting interns at their New York headquarters, and placing students in internships in the Dominican Republic. Some of the representatives included CIS Abroad, the French American Chamber of Commerce, the Peace Corps, World Endeavors and more. InteRDom, an initiative of Global Foundation for Democracy and Development (GFDD) and Fundación Global Democracia y Desarrollo (FUNGLODE), is the premier internship, research, and academic study program in the Dominican Republic. It offers international students the opportunity to research important topics at the forefront of the United Nations agenda, obtain professional experience by interning with Dominican organizations and businesses related to their fields of study, and/or earn academic credits by taking courses and seminars at a local university.